If blowing away your adversary in a hail of lead shot isn't an option, this Fiocchi less-lethal ammunition may serve your self-defense needs. 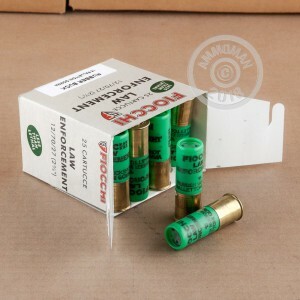 Effective against both two and four legged targets, these 2-3/4" shells fire rubber buckshot that is sure to put a hurt on whatever you hit with them. At the same time, the hard rubber shot carries a much lower risk of causing collateral damage or killing the target. 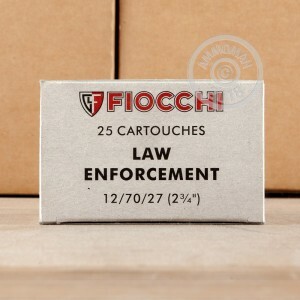 Fiocchi is a leading supplier of ammunition to all types of customers including military, law enforcement, and self-defense shooters. 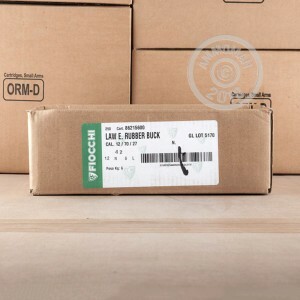 Most Fiocchi ammunition sold in the US is manufactured in Ozark, Missouri, with the remainder coming from the company's headquarters in Lecco, Italy.